The Pastoral Care products provide you with a powerful set of applications designed to assist you in the management of your church. Pastoral Care 11 makes caring for people easy. With comprehensive contact management, powerful reporting and much more, it is Australia's most popular and comprehensive Church Management Software package, and the most affordable. Manage your church with ease; don't let your church manage you! Includes Networking and Free Multi User License. Built for Windows 7, Vista, XP. 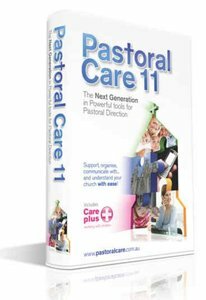 About "Pastoral Care 11 Full Version CDROM"